Sure, you’ve probably already seen it, maybe even multiple times, but are you REALLY seeing it? (Enter drug joke here). TRON: Legacy is entering its second weekend in theaters, so you may be wanting to see it again or maybe even for the first time. If that’s the case, then here are some easter eggs to look out for that relate to the viral campaign. TRON: Legacy actually has a lot of little tidbits thrown in for fans of both the original film and the viral. As far as harkening back to the original TRON, we get things like the “That’s a big door” quote (used by Kevin in the first film when breaking into Encom, and then by his son Sam when doing the same thing 28 years later), director and writer Steven Lisberger as the End of Line Club bartender, and Cillian Murphy as the son of Ed Dillinger (the man who stole Kevin’s game inventions). There are a lot more, and you can easily search for them on the Internet, but for us at MovieViral, what matters is the ARG. 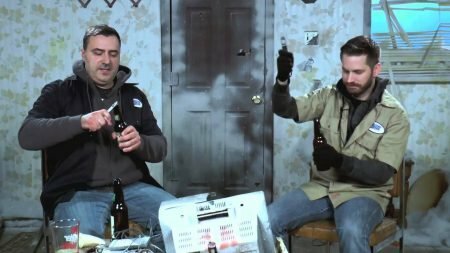 The storyline of the viral campaign is connected deeply with the film’s plot, as it helps us learn about some of what happened in between the two movies. Below are a few of the callbacks. The number 89 played a big part in the viral. That was the year Kevin Flynn disappeared, and Sam created a logo using it whenever he did his stunts. 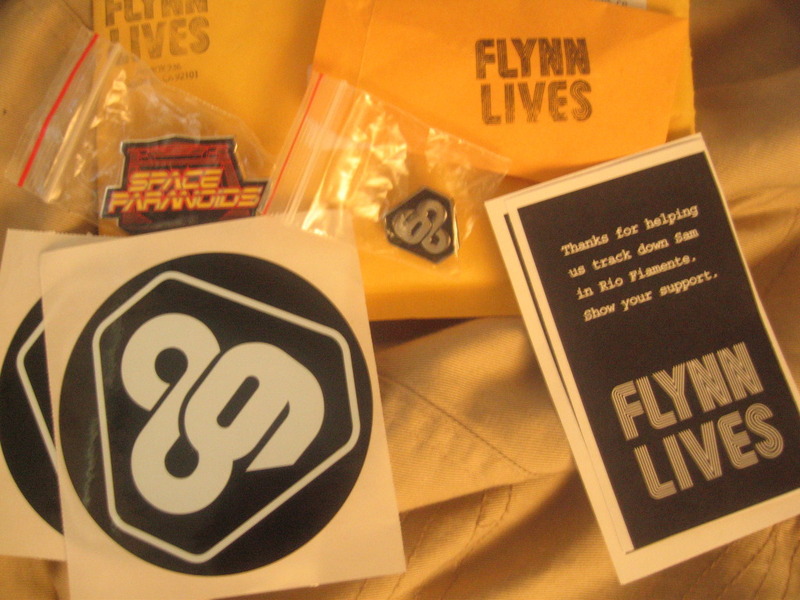 The logo showed up in various forms throughout the ARG, and the Flynn Lives forum member “EightyNine4ever” is thought to be Sam himself. In the film, we see the logo on his helmet and backpack, and I thought I saw it on his parachute (much like the viral), but I have yet to confirm. Sam even references the Flynn Lives group in the film by saying they won’t give up searching for Kevin. Probably the most noticeable easter egg for ARG players that went to San Diego Comic-Con this year is the End of Line Club. In the film, the club exists on The Grid, is run by the program Castor, and the film’s composers Daft Punk make there cameo here as DJs. At SDCC 2010, we got to go into the club ourselves by entering Flynn’s Arcade. In fact, the coasters we got show up in the film. Again, we got to go to the actual Flynn’s Arcade at Comic-Con, which was also the case for convention attendees last year. When we went in, the same 80s songs were playing that are in the film (we didn’t know that at the time of course). They were Journey’s “Separate Ways” and the Eurythmics’ “Sweet Dreams”. Below is the video I shot of the whole experience. We were the first ones to get into the arcade that year, and the first ones to see the club at all. 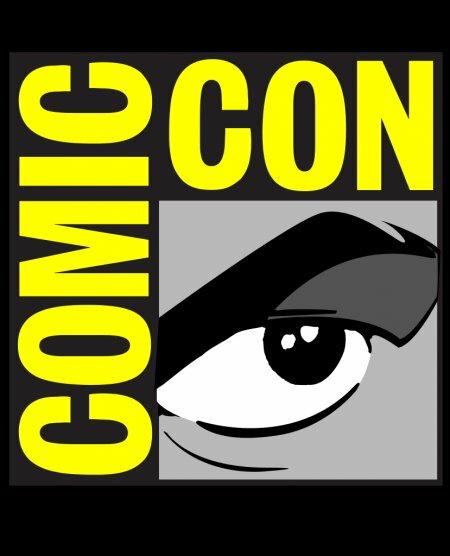 As if we didn’t get to experience enough cool stuff at Comic-Con this July, there is more thing that we got to do. 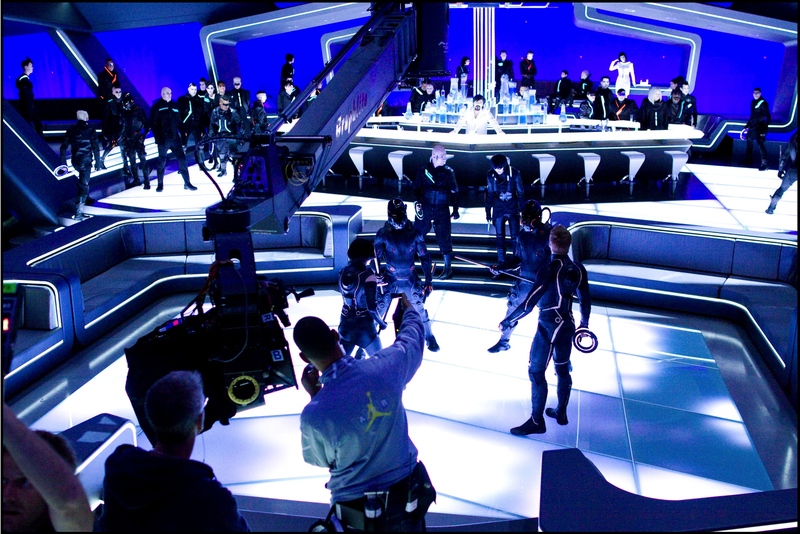 Disney used their panel featuring TRON: Legacy to use the audience as sound effects. Remember in the audience during the games in the film? All those chants are courtesy of the lovely sweaty fans of Hall H. They wouldn’t tell us why we were chanting or what the chants meant, but seeing it in the film brought back the memories. We even got mentioned in the end credits! In the film, Sam is living in a modified Dumont Shipping container. The name should sound familiar, as Dumont was the program created by Encom founder Walter Gibbs in the first film. During the ARG, Dumont was established the exclusive shipper for the Encom. We got a company website that played a key role in the campaign. Also of note, this was around the time we learned that Sam had studied Amazon Capoeira (a musical martial arts technique featured in Only The Strong), which would eventually help to explain how he does so well in the games. Of course, I’m sure I missed some things, so let us know what else to look for in the film! Thanks to Unfiction for help getting the list together.